TestFlight users who have signed up to beta test Apple's Swift Playgrounds coding app can now download the Swift Playgrounds 3.0 Beta, which is available as of this morning. 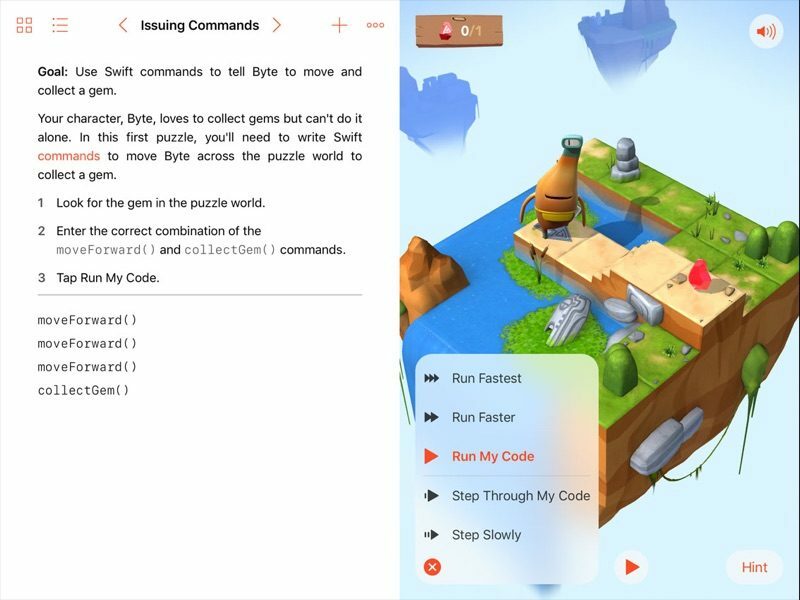 Swift Playgrounds uses Swift 5.0, the beta version of Apple's coding language. The full extent of what's new in Swift Playgrounds 3.0 isn't clear as of yet, but Apple's release notes for the beta update provide a bit of detail. The new version of the app allows Playground Books to contain directories of Swift code and resources that can be imported for use by any page in the book. TestFlight users who previously signed up to beta test Swift Playgrounds have access to the beta, but it does not appear that Apple is allowing new testers to sign up at this time. This is the first beta of Swift Playgrounds 3.0 that Apple has released. The current version of the app available to the public is version 2.2, released back in November. The year is irrelevant as to whether I need an iPad.